Our class consists of twenty pupils; ten children from year one and ten children from year two. Miss Shore and Mrs Best support us with our learning everyday. In Phoenix class we nourish our friendships, broaden our minds and work together co-operatively so that we are the best versions of ourselves that was can be. Keep checking our class page regularly to follow us on our learning journey! Homework and reading books will be sent home on a Friday - Please try and read at least 3 times per week with your child. Recorder lessons are on a Wednesday afternoon for Year Two children. PE lessons are on a Wednesday morning and a Thursday afternoon. Please ensure you child has a suitable PE kit in school for both indoor and outdoor sessions. 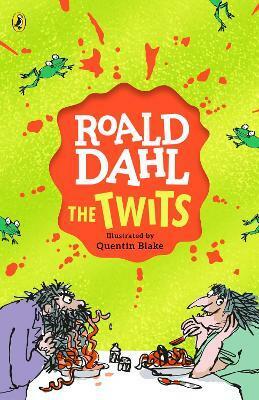 Week 1 - This half term we are using the book 'The Twits' as a stimulus for our literacy. We have been using our inference skills to learn about the main characters and using a 'zone of relevance' to identify good adjectives that we can use too describe Mr and Mrs Twit. Week 5 and 6 - In Literacy this week we noticed one day when we arrived at school that the playground was looking rather messy. We decided that this was down to people dropping too much litter on the floor. We used our neatest handwriting to write letters to our parents about the state of our playground. We included lots of expanded noun phrases in our work to make sure we made an impact on the reader. Week 4 - This week we have been writing our non-chronological report using the facts we found out with the help on '10 Thing I Can Do To Help My Wolrd'. We had to make sure our writing including the different sentence types; commands, exclamations, statements and questions. Week 2 and 3- We found different facts this week about recycling, littering and saving energy to help us write our reports. We sorted the facts into the correct groups. We also learnt about different sentence types and played corners to help us understand this. Week 1 - We have been focusing on the book 10 ways things I can do to help my world. Week 5 - We have began writing our own versions of 'Little Beauty' this week. We each had t change some of the key elements of the story. We changed the characters, the way they communicated and the problem that they came across in the story. Once we completed our writing we decided to publish our work into a book and type up our stories in the ICT suite. Week 4 - This week we did a Diamond 9 to organise our favourite activities. To do this we had to communicate our ideas with each other. We are using these to help us with writing our own version of 'Little Beauty'. Week 3 - In this weeks literacy we have been using drama to help us remember some of our new vocabulary that we have learnt from the story. We had to act out these new words, see if you can guess what words we are acting out above. Week 2 - This week we have been learning the story of little Beauty using actions to help us to remember the story. We have discussed some of the unknown words from the books and talked about what they mean. Week 1 - For the first part of this half term we are going to be creating work based on the story by Anthony Browne called Little Beauty. The story is about a lonely gorilla who makes an unlikely friendship with a kitten. This week we have been discussing the story and what we thought it might be about before we even read it! Week 6 - We had to use all the skills we have learnt throughout the past few weeks linked to character and setting descriptions to help us write our own Where the Wild Things Are story. We had to include character descriptions and a setting description within our story. We even had chance to make a front cover for our work. Week 5 - This week we have been continuing our work on setting descriptions. We looked at different settings such as a beach, forest and a secret garden. We had to use our five senses to help us describe the setting and we had to focus on using lots of exciting adjectives and adverbs to make our writing interesting to read. Week 4 - This week in literacy we have been continued to focus on setting descriptions. To link in to our Bare Necessities topic, we have been describing the rainforest and similar surroundings. We have been trying really hard to think of interesting sentence openers to help make our writing more exciting to read. Week 3 - We have been carrying on with our character descriptions this week. We used the Wild Thing creatures that we made in week 2 to help us with our writing. Week 2 - This week in literacy we worked really hard to create our own Wild Thing using the kitchen roll tubes we brought in to class. We have so much fun making our creatures, we used lots of different craft materials to give them detailed features. Week 1 - This half term in literacy we are reading the book, Where The Wild Things Are and we will be using this as a stimulus for our writing. We have been looking closely at the Wild Things in the story and have been using adjectives and adverbs to help us describe them. 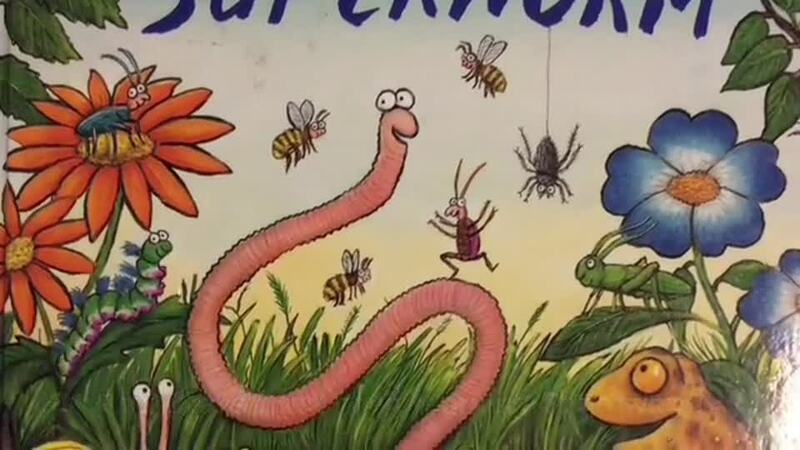 In literacy this week we have been reading the story 'Tiddler' by Julia Donaldson. We have been discussing our favourite characters and our favourite part in the story. We have looked closely at the different sea creatures in the book and we used our observational skills to label some of the characters with interesting adjectives. We had to think carefully about what each creature looked like, what it might feel like and how it moved. We are going to use some of our ideas to write our own character description later on this week. Week 1 - This week we have been learning about statistics. We sorted different data to make bar charts. Then we collected our own data by counting strides across the playground and used this to make our own bar charts. Week 6 - In maths this week we have been learning about position and direction. We have been using Beebots to program instructions and then created a track for our Beebot to navigate around. We then had to writie our instructions into our books. We also learnt about left and right and turns including clockwise, anti-clockwise, a quarter, a half and three quarter. Week 5 - This week we have been learning about pattern using geometry. We used shapes to create different patters in year one and in year two we had to identify missing parts to patterns. Week 4 - This week we have continued learning about telling the time. In Year One we have been telling the time to half past the hour and in Year Two we really challenged ourselves by learning to tell the time to five minute intervals. Week 3 - We have started learning about time this week in maths. We made our own giant clocks in the classroom using hoops and pencils. We gave our partners a time to create using our clocks. Year One children told the time to the hour ad Year Two children told the time to the hour, half past the hour, quarter to and quarter past the hour. Week 2 - We have continued learning about money this week, solving problems and calculating change. Week 1 - this week we have been looking at recognising different coins and how to make amounts using different coins. Week 4 and 5 - This week we have continued looking at fractions. We have focussed on finding fractions of different amounts and quantities. We now know that the number on the bottom of a fraction is called the denominator and that the number on the top of the fraction is called the numerator. In Year 1 we have been finding a half of amounts and some of us have challenged ourselves to try and find a quarter too. In Year 2 we have been finding a half, a quarter, and 3 quarters. Some of us have even found 1/3 and 2/3 of different amounts! Week 3 - We have started looking at fractions . We have been focusing on sorting things into 'equal groups' to help us learn that fractions are equal parts of a whole. We have been finding fractions of shape including a half, a quarter and even 3 quarters. Week 2 - This week we have been using arrays to for multiplication and looked at using different objects for sharing. Week 1 - This week we have started learning about multiplication. On year 2, We have started the week by recognising odd and even numbers. We had to give reasons for how we knew a number was either odd or even. In year 1, we have been doubling and halving numbers. Week 8 - For the final week of this half term we have been learning about 3D shapes. We have learnt the names of common 3D shapes and we have all described them using vocabulary such as vertices, faces and edges. Some children created their own 3D shape riddles about a shape of their choice, they had to describe the shape depending on its properties and see if their partner could guess the shape they were thinking of. Week 7 - This week we have been learning all about 2D shapes and their properties. We have been learning about the number of sides and corners that different 2D shapes have. In year 2 we have been sorting shapes into Venn diagrams depending on their properties. Y1 children went on a 2D shape hunt around school and we had to produce a piece of work to show what they had found out. Week 5 and 6- We have been continuing with our learning on addition and subtraction this week. We have learnt to show our working out of addition using a bar model. In year 1 we have been doubling numbers and we now know that doubling in maths means adding together two of the same number. Week 4 - We have started working on our addition and subtraction skills this week. We have been developing our knowledge of number bonds to both 10 and 20 and we have been using these facts to help us with adding multiples of ten to make 100. Week 3 - In Year Two this week we have been partitioning numbers in to tens and ones and finding different combinations on tens and ones to make a given number. We have also been comparing numbers using the greater than >, less than < and equal to = signs. In year one we have been finding one more and one less than a given number. We have also been using language of greater than, less than and equal to, to compare quantities. Week 2 - We have continued our unit on place value this week. We have been using our knowledge of the 2's, 5's and 10's times table to answer missing number questions on a number line. We have also using maths equipment to show pictorial representations of different numbers. Week 1 - This week In maths we have started working on place value. In Year Two we have been working really hard to identify the value of each digit in a number. We have been using practical maths equipment to help us to do this. In Year one we have practised our counting skills, making sure that we count carefully and are able to match an amount to a numeral. In maths this week we are learning about shape. We have been using our knowledge of 2D shapes to sort different shapes depending on their properties. We also used 2D shapes to create pictures in the classroom. We are going to be making pictures of sea creatures using different 2D shapes later on this week. After finding out that only the bricks could pass the hairdryer test, we replied to the three little pigs letter and told them that they need to make sure they build their houses with bricks. This week we tested different materials to build our own houses. Each group used a different material and tested out the structures using a hairdryer. We have been scientists again this week and have tested out the most appropriate materials to build a house with. We looked at solid materials such as; plastic, wood and metal and submerged them in a water bath. We compared these to cotton wool and found that solid materials are much more water resistant than the soft material. We have become scientists and have been testing out different paper types to find the most water resistant type. We found that the card was most water resistant. Our new topic is Let's Build. We have received a letter from the three little pigs to ask for help building them a house that the big bad wolf can not blow down. This week we are looking at different materials to make sure we choose the most appropriate materials to help the three pigs. In Autumn Two, our new topic is called Explorers and is all about Famous explorers. Week 4 and 5 - As it is getting closer to Christmas we have started preparing for our Christmas nativity and Christmas music concert. We have been busy rehearsing our nativity and we have had to do lots of singing to make sure we know all the songs very well. Week 3 -This week we found more information about Neil Armstrong and the importance of the moon landing. The children built rockets with lego this week. We also wrote a diary of how Neil Armstrong might have felt about being on the moon. Week 2 - We have been finding out about the moon landing and have been writing about who the first man on the moon was. We also created space pictures on black paper; we added Neil Armstrong placing the flag on the moon. Week 1 - For our half term homework project, we created some fantastic items that we might use if we were to become explorers, some of us made a compass, binoculars and maps. Our topic this half term is called the Bare Necessities and is all about the rainforest. Week 4 - We have had a really exciting week this week relating to our Bare Necessities topic. We had a special visit from Zoo Lab and they brought in some exciting mini beasts for us to see. We started the week by looking at different mini beasts that could be found in the rainforest. We did this so that we could compare mini beasts from the UK to mini beasts that live in the rainforest. We all really enjoyed our visit from Zoo Lab, take a look above at our fantastic pictures. Week 3 - We have been using a copy of the World map this week to locate some of the World's rainforests. We also used our map to link in with our knowledge of the seven continents. We used different pictures of animals and stuck them on the correct place on the map, depending on which continent they live in. We also created silhouette pictures of different rainforest creatures using black paper and a colour wash background. Week 2 - We have created our own jungle leaves this week using water colours. We really enjoyed doing this and we had to take our time and make sure that our work was as detailed as possible. Week 1 - This week we began our topic by learning about the seven continents and five oceans around the world. We also created some Aboriginal style artwork of different jungle creatures. We are all really confident at naming the continents and oceans now we have learnt them in our topic this week.